As back to school shopping takes over, parents, kids and teachers are looking for the best school supplies. Many factors come into play. Cost, durability and ease of use are all decision making factors. When all those factors are similar, how do you choose the product. In our home, we try to support companies that make a different - Stride Inc. is one of those companies. 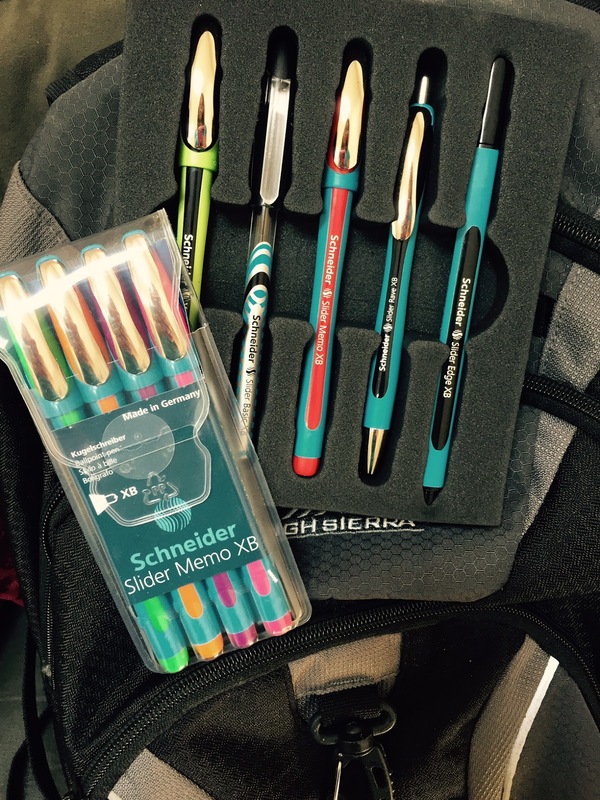 Stride, Inc is the exclusive distributor for Schneider pens in the US. What makes Stride, Inc. different is their choice to employ an integrated workplace. Half of the employees are adults with intellectual and developmental delays. These individuals hand assemble the Schneider line for distribution in the US. 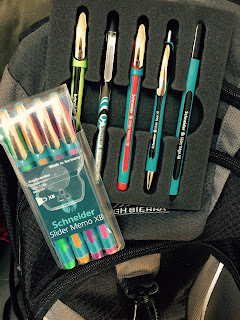 The Stride, Inc.'s commitment to an integrated workplace made our family want to try the Schneider pens for our back to school shopping. Schneider is a premier German pen manufacturer who has been part of the industry for over 75 years. The traditional company is keeping with current trends is in the forefront of environmental initiatives, for example a line of CO2Neutral pens. The Viscoglide line is a collection of advanced ballpoint inks that are product entirely without adding to the carbon footprint. With the school year approaching, I like to make lists for everyone's activities. The confusion sets in when the kids and I are going several different directions. This year I am giving everyone a color - (pink, orange, green, etc). The Slider Memo XB 1/4 mm Viscoglide Ballpoint Pen 4 Pack Colors keeps my color scheme in place. One glance at the family calendar and I can see who goes where. Schneider has a huge selection of pens that are perfect for any and every occasion. From taking notes at school to writing thank you notes for birthday and from black to color, Schneider pen have your family covered. This line of pens is available at Shoplet. Shoplet is a great online superstore for all your family's office supplies and back to school shopping.